UniTherm Insulation Systems is a leading manufacturer of passive fire protection systems. 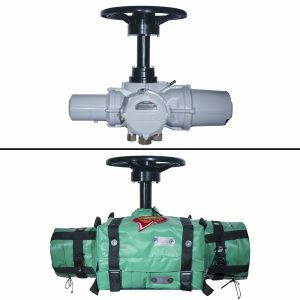 Our flexible covers are designed to insulate equipment and delay temperature rise in the event of a UL1709 rapid rise fire, while maintaining structural integrity at temperatures higher than 2000°F. Molded-on coatings cannot be field applied or removed and can create serious corrosion problems leading to stress corrosion cracking and possibly premature equipment failures. These problems can undermine the integrity of the fireproofing and cause damage to your equipment. Box and enclosure fireproofing is cumbersome to remove, some require the equipment to be out of operation and uninstalled. This type of fireproofing generally exposes bare insulation creating a highly corrosive environment and requires fire seals to be replaced/reinstalled any time the box is opened to service or operate equipment. FirePro® is supported right on the equipment and does not require any mounting hardware or supports. Its flexible character makes it conform and easily adapt to the exact shape of the equipment assembly. 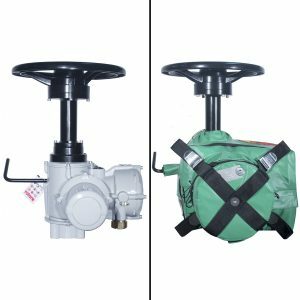 This form fitting cover will generally not obscure or distort the appearance of equipment to the point that it is unidentifiable. 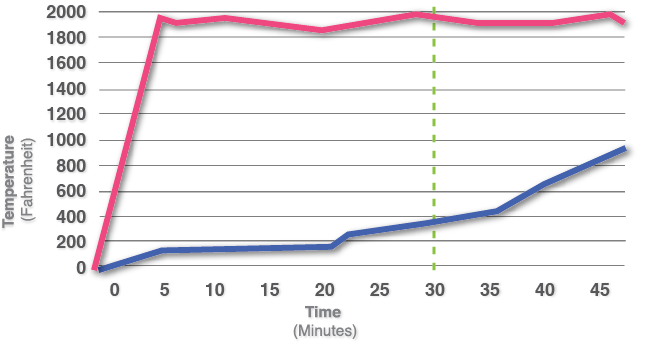 Q: What level of passive fire protection does FirePro® provide? A: UniTherm Insulation Systems is a leading manufacturer of passive fire protection systems. 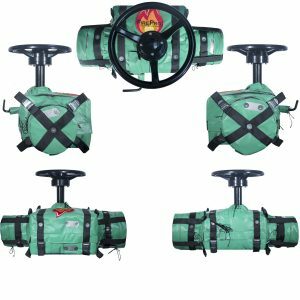 FirePro® is a versatile and flexible system for protecting critical control equipment in a UL1709 fire that reaches temperatures of 2000°F (1103°C) for at least 30 minutes. 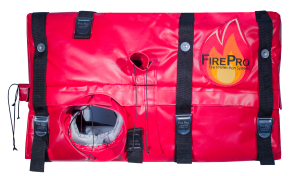 Q: What information do you need to have in order to build a FirePro® cover that fits properly? A: Typically, you will only need a model number of the actuator and a short, detailed, technical description of any accessories that are mounted on the actuator. OR You can submit a 3D DWG file that shows the assembly of your actuator. Q: How are controls… buttons, dials, gages…etc. accessed with a FirePro® cover installed? A: FirePro® blankets are pre-engineered with openings and access doors, making it easy to access critical control elements for operation or maintenance. Handwheels, declutch levers, push buttons, knobs and other key controls can usually be extended outside of fireproofing to ensure direct access, which adheres to the standards outlined in API 2218.